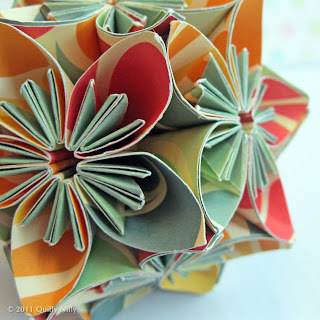 When I'm not working, or taking care of the house and everyone and everything in it; or quilling; you'll sometimes catch me creating japanese kusudama balls - I absolutely love them. For the craft fair I created two, one of which has sold recently; this is a few images of the one that is currently for sale; soon to be in my Etsy shop for anyone interested. The paper used for this is from Cosmo Cricket, a pattern called Sea Garden from their Salt Air collection; gorgeous! what a clever piece folding wonderful! I loooooove the look of those balls too but I'm too intimidated to try one even though I've had a tutorial bookmarked forever! Kudos to you on such perfect ones! 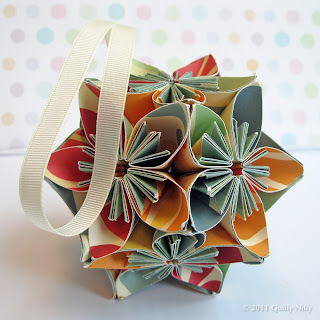 Very beautiful kusudama! 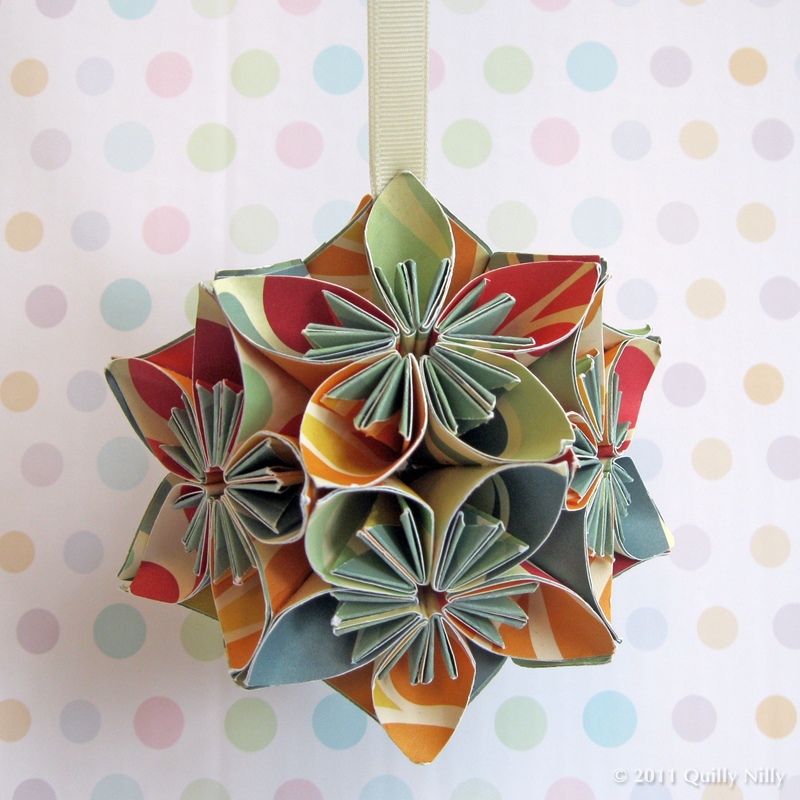 I love this model, too :) And the paper makes it more beautiful! 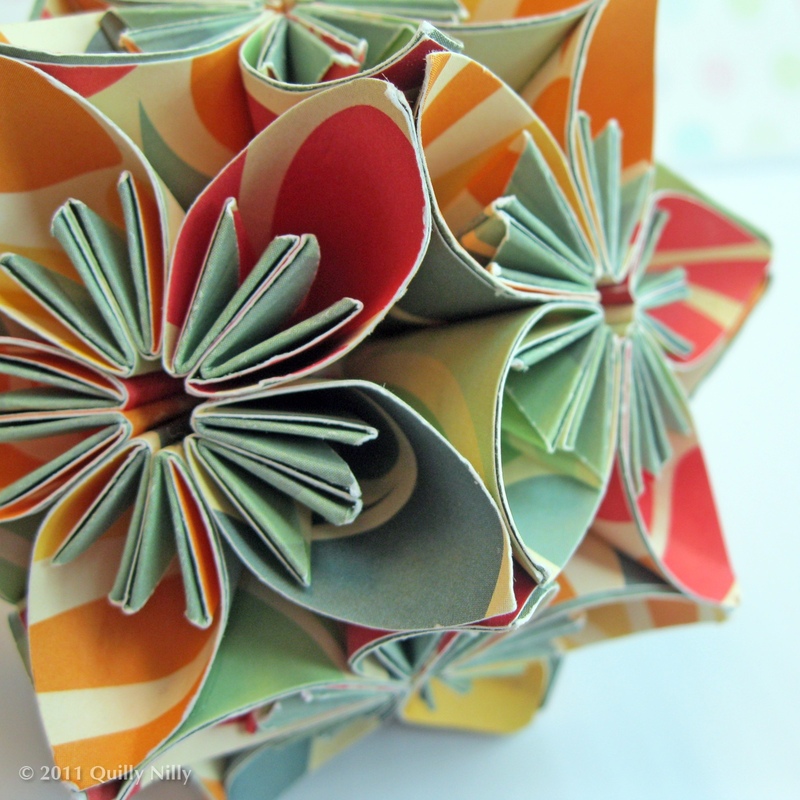 I also enjoy making this kusudama. If you add a pearl in the center where the hole is, it even make the kusudama much more pretty. I have never seen these before... absolutely lovely!